Caressa Rogers Photography: A New Baby Website! 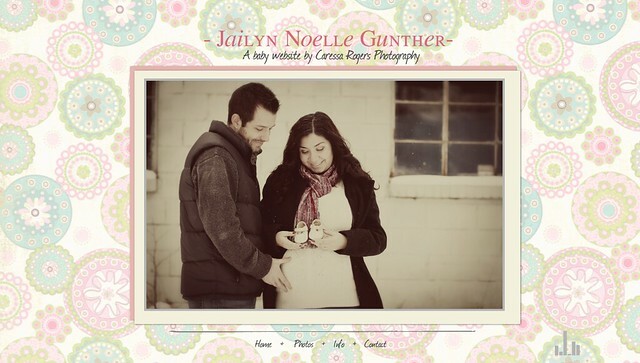 Aaron and Jacquelin Gunther are expecting Jailyn Noelle Gunther any day now! Last month I had the pleasure of doing their Maternity Session and am excited for the Newborn Session we have planned after she is born. You can view the website celebrating the coming of Jailyn here. This website is the first of a new feature I am offering for Senior, Engagement, and Maternity/Newborn Sessions. Each of these sessions will receive their own custom website with a mini slideshow and an opportunity to share info about the graduation, wedding or birth.